This was the first of five videos I scripted for the OBC website and YouTube channel. The trick was to have the script echo basic concepts in site content while creating a rhythm that worked with the cadence of Richard’s speaking style. And it seems to work. Just a few months after launch, the client’s online business was already grossing more than his original Dallas studio. 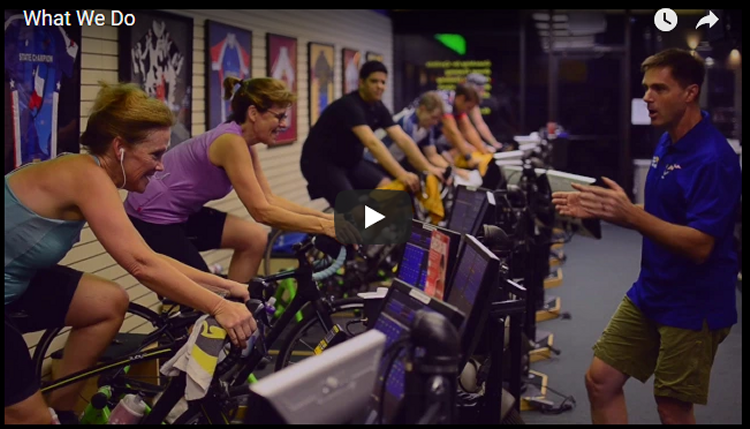 We started Cycling Center Dallas in 2006. Our students achieved results. Word began to spread from races, triathlons, other cycling events. I started getting calls and emails, from riders all over the world. We heard from Europe and South Africa as well as the USA and Canada. And I thought it would be good to find a way to offer riders all over the world the same training experience our students get here in our Dallas, Texas studio. I spent four years developing the Online Bike Coach.com approach. The methodology is different. The metrics are different. And the results speak for themselves. It’s tough. It’s intense. And it delivers. In just a couple sessions per week. The training is very sophisticated, but the bottom line is simple. More results. Less time. Guaranteed.